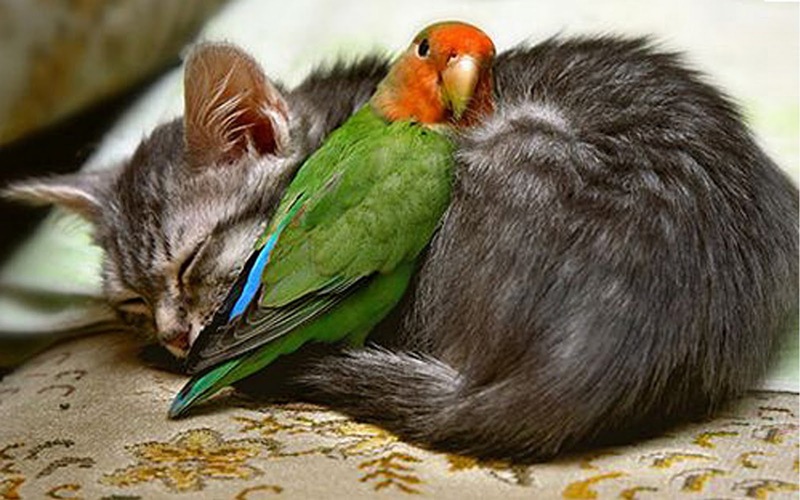 Unlikely Friendships is an amazing book for adults. The stories will touch your heart and warm your spirit! 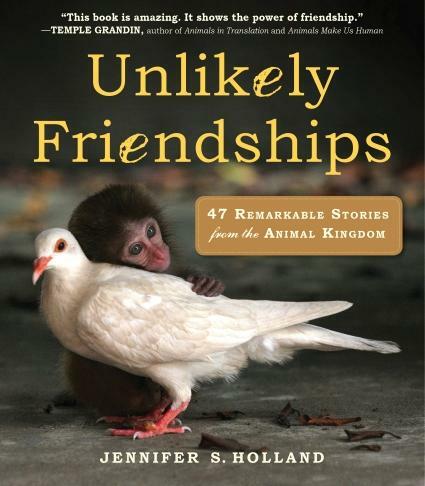 I don’t believe, if you’re having a bad day, that it will be quite as bad once you’ve read a couple of these remarkable stories of unusual animal friendships. 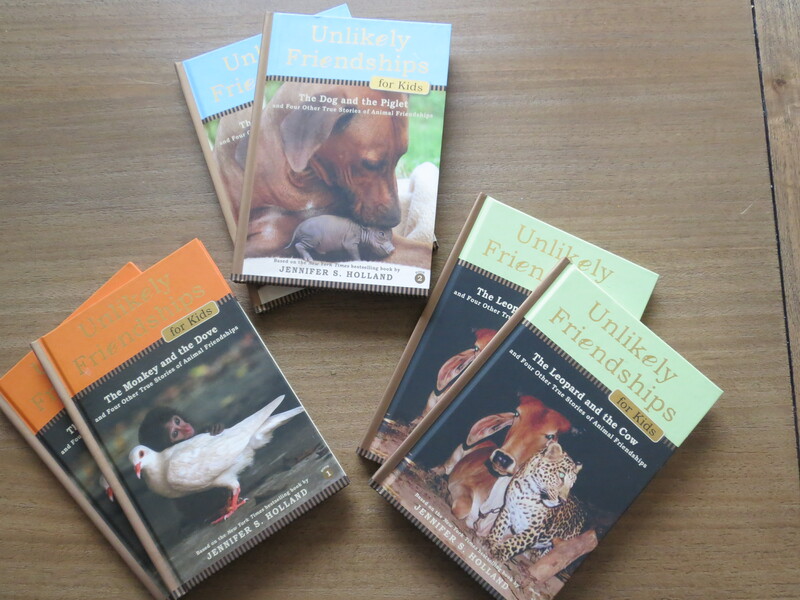 A few weeks ago, I was at the bookstore and discovered that Jennifer Holland has a whole series of Unlikely Friendship books made specifically for children. I couldn’t resist, so I stocked up on some of these and bought extra to share! Who was your first pet? What kind was it? Any great story to share about it? What pet do you own now or would you like to own? Who do you plan to share or give this book to with if your name gets drawn? What farm animal do you (or would you) advocate the most for/feel the most compassion for? 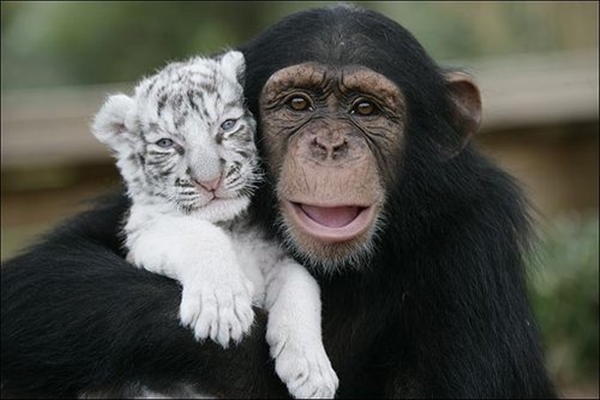 If they can share mutual respect and love for one another, why can’t we? Wishing you Health, Happiness & Peace! My furkids are 2 adorable ferrets who I got as kittens from the same litter! They are so much fun to watch as they jump and run about!!! I call them my Bellas – their names are Isabel & Anabel! I wish it was possible to own meerkats!!!! They are another ultra cute animal!!! They sound really sweet, Sandy! Such great names! I’m not too familiar with ferrets. Are they affectionate? Yes, meerkats. Totally loved that show! My cat would even stop to watch!